We’ve talked about the kind of injuries that occur in football, we’ve talked about its mechanisms and healing processes and, during those lessons, we’ve also come across risk factors for injury. One of these, and the base of the Football Medicine ® muscle injury risk factor pyramid, is the Load Management. This is seen in figure 1. One of the key aspects of these specific risk factor is also the reason why it’s important to study: it is one of the modifiable risk factors. For this reason, its analysis and control should be a concern for both the medical and the technical staff. The athlete’s state is affected by several different variables; changes in the training methodology (or, in other words, unusual stimulus), short periods of rest after intense efforts (e.g. 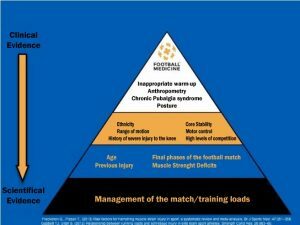 after match), undertraining and over-training are all situations that are connected to the management of the loads imposed to the athlete and are, therefore, in the origin of the majority of the injuries in football (when related to the variable “Load”, we mostly talk about the indirect injury mechanisms – e.g. muscle injuries). Fatigue is known to be one of the precursors of injuries in football, in special regarding hamstring injuries. Taking this fact into consideration, the adoption of preventive strategies towards injury, such as being able to identify fatigue (or other variables that may lead to fatigue), is a keystone of athletes’ supporting staff role. Any change in routine or adaptation in the training load (frequency, intensity or duration) that occurs during the training cycle can influence fatigue, either increasing or decreasing it. This makes fatigue management a process of handling the athletes’ adaptation to training and a guaranteeing that the athlete is ready to compete. The importance of this management of load and fatigue originated an increase in the interest of monitoring, both training and recovering strategies, giving support to the planning of training and, this way, assuming an important role in injury prevention. The relevance for the monitoring is also found present in the UEFA Champions League Injury Study, in which a 11-year follow-up was made of the clubs presented at the European competitions and their respective performance in their domestic competitions. In this study it was found that teams with lower injury rates and lower number of lost days due to injury during the season, also had better classifications and average points, both in their domestic competitions and at an international level. This supports the importance of the injury prevention towards the competitive performance of professional football teams and the maximum availability of players to play. Acknowledged this previous mentioned need, we now discuss what can me monitor that informs us about these measurements (load/fatigue), what we should monitor and how we should interpret the collected data. Load of training is composed of both the internal and external loads imposed to the athlete. The external load is connected to the work done by the athlete (e.g. duration, speed, total distance, accelerations/deccelarations); thus, it is a mean to understand the capacity and the output of the athlete. On the other hand, internal load (or physiological stress resulting from the external load), is crucial to determine the stress imposed by a training session and the subsequent adaptation that the athlete has to the training (e.g. heart rate, recovery and heart rate variability, s-RPE – session report of perceived effort). Nowadays, the GPS systems used in football allow to control/analyse not only the external load but also the internal load. They are, therefore, the Gold Standard for monitoring and management of load. 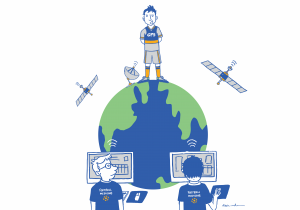 It isn’t the goal of this article to explore in detail the functioning of GPS systems neither to point out it’s potential; That would fall beyond our scope of knowledge and purpose. We will, however, explain in a rather simplistic way in what this system consists and what are the relevant variables to obtain. As shown in figure 2, the system is composed of several individualized GPS units that are used by each athlete, placed at the thoracic region by means of a vest. Besides GPS, the unit also contains an accelerometer; this kit is complemented with the use of a heart rate monitor. This combination makes it possible to retrieve data regarding the total distance travelled of the athlete, speed at which these distances were covered , individualized accelerations/deccelarations (and the duration, timing and other details of these), as well as the cardiac frequency in each moment; through these variables, and after transformation of the data through the software of the system, we can obtain other more complex variables (some of higher and some of lower value to the purpose discussed). The real important questions: Is the utilization of this technology really useful or is it just a trendy gadget? What extra value does it bring? The first disclaimer needed is that a lot of what we currently know about the physical requirements of the football practice has only been possible to quantify due to this technology; it gave us the means to know that an athlete as travelled approximately 9-12Km, at an average intensity of 80-90% of its maximum cardiac frequency. It also allowed us to understand how many of those 9-12Km where in a sprinting action, how many sprinting actions occurred in a game and, with this, improve the training methodologies to correspond to the game requirements. Even more, it allowed us to identify that specific athletes in specific field positions have severely different physical and metabolic requirements. During the same training session, different athletes have different performances. An example is: faster athletes or athletes with higher acceleration capacity for the same distance, will surely have more distance travelled sprinting (>7m/s) or at a high intensity (>5,5 m/s) than a slower athlete. This way, although both those athletes may have a similar total distance covered at the end of the session and considered that high velocities require a different pattern, their physical and metabolic wear will also differ. This is where the complete GPS system comes into place: allowing to draw an individualized match/training profile for each athlete, we can control the variation throughout the season and see if the athlete is bellow-expected performance, if there is fatigue, if there has been an increase of the load to which he has been exposed or even, in an injury scenario, support the planning of the field rehabilitation. Figure 3 – GPS data of one football team, during one training session. Here we see the proof that, for a same training, different athletes had different outcomes. To pay attention are the distance, High Intensity (>5,5 m/s), Distance in Sprint, total number of accelerations and deccelarations >2m/s and the maximum and average Heart Rate. The GPS systems are the Gold Standard when it comes to objectively monitoring external (and, as seen, also internal), presenting with a promising future and capacities and an unquestionable usefulness in the control of individual performance of each athlete. All these qualities combined should be actively used in the planification and management of the team training and the rehabilitation of injured athletes. The following example aims to apply the practical side of the tool, summing up what we’ve been through so far. We know that both under-training and overtraining may lead to injury occurrence, due to distinct mechanisms. An under-trained athlete may be required to execute tasks during the game to which he isn’t prepared; this may lead to injury, due to deconditioning/bad adaptations. An over-trained athlete, due to the fatigue he’s carrying, is an athlete prone to injury since the fatigue state leads to failure of the neuromuscular system; this may lead to the occurrence of acute injury (e.g. muscle injuries), or overload injuries (e.g. tendinopathies). How can the use of GPS Systems aid in the prevention of posterior thigh muscle injuries? Ensure that the athletes aren’t submitted to other high intensity efforts in the 48h posteriors to a game – Post-Game Recovery/Fatigue Control/Overtraining Prevention. The GPS presents, however, with some disadvantages: they are extremely costly and require expert knowledge to its handling and data interpretation. Therefore, in the absence of a budget for its acquisition or expertise for its handling, there exist other ways and tools to monitor the athletes’ load and fatigue. These are both objective and subjective measurement and are also valid in terms of assessing either the demand of the tasks performed or the recovery status. As we have been seeing in this chapter, the assessment of the fatigue state plays a key role in the process of load management. This reason makes it important to also rely on objective measures that allow for its identification. 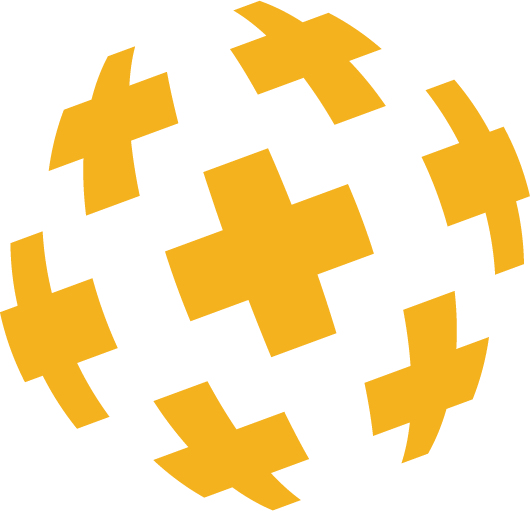 Research points us to reactivity tests (e.g. 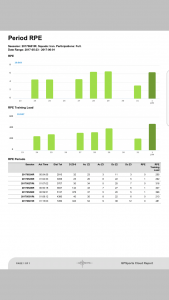 : Reactivity Strength Index calculation – RSI – using Drop Jumps) or even maximum strength tests (e.g. : adductor squeeze test, monitorization of the strength during the Nordic Hamstrings exercise) can give good indications of the neuromuscular fatigue state, besides being tests that also have some discriminative capacity to the risk of some muscle injuries. In this way, these tests may be used systematically before the beginning of the training, aiming to identify not only the ones that aren’t fully recovered yet but also to point out the ones that are “too well recovered”. 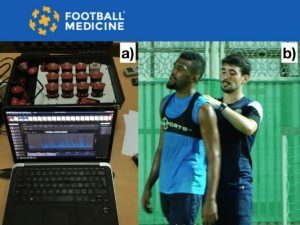 Since not one of these variables of the monitorization of the fatigue state can be considered a gold standard, the Football Medicine® recommends the adoption of a mixed method, involving the measures of internal and external load, with an acceptable reliability and validity, sensitive to the fluctuations of the training loads. The assessment of the subjective perception of the athlete’s effort is a valid and practical tool to the assessment of the training intensity and, when assessed systematically and rigorously, it may be a great, non-expensive, help. RPE can be assessed through several scales, with the most common ones being a 15 points system (e.g. 6-20) or a 10 points system (0-10). Although no isolated RPE can be considered optimal in every aspect (one of these it the subjectivity of the answers being easily manipulated, if the athlete thinks, for example, that the answers may influence the technical options), these measures are well adjusted to sports as football, which are characterized by a high intensity, nonlinear physiological response. To strengthen the information obtained, the RPE can be combined with other measurements (e.g. : the training duration), allowing to calculate the internal load to which the athlete was exposed, in one session (s-RPE). This calculus makes it possible to work both with the acute load values (usually, a week’s work) and the chronic load (usually, a month of work), and therefore with the previous association of the ratio between these two being indicative of higher risks of injury, when the ratio value is >1,5 or <0,8 (this ratio is explained at the end of the chapter). In addition to the information retrieved from the RPE, other questionnaires can be useful tools in the early detection of disturbance/changes in athletes. Changes in the quality/quantity of sleep (diminished for 2 or more days), accelerated resting cardiac frequency (changes higher than 10 beats of the usual HR) or an abrupt lowering of the body weight (> 2 to 3 % of the body weight, usually due to severe dehydration) are indicators of an incomplete adaptation to training or an incomplete recovery, that may lead to an overtraining status. It is a fact and undebatable that, to improve the performance it is necessary to have periods of physical overload (spaced with recovery periods). However, we now know that there is an optimum relationship (or, better said, ratio), regarding the loads imposed in a short period of time (acute load) and the loads imposed at a broader period (chronic load). For the ones interested in this theme, figure 4 points this relationship out. This ratio is where the monitorization and data retrieved mentioned throughout this chapter come into play. We strongly recommend the studies made by Tim Gabbett, were you can understand this entire subject. 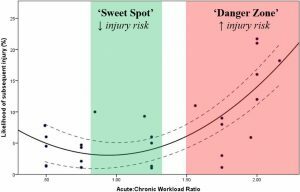 Figure 8 – The record of the acute and chronic load and the interpretation of the ratio between these two, permits determining if the athletes are: fully recovered from the last training/game (acute/chronic load ratio of 0,80 to 1,20) presenting a lower injury risk; or fatigued/not recovered (acute/chronic load ratio higher than 1,5), presenting with a higher injury risk. In our next chapter we will continue to focus on the assessment of the risk factors for the muscle injury, from which the management of training loads it the most relevant. This, and the intimate relationship with the GPS system and its complexity, is why we decided to separate this topic from the chapter to come.